6sqft’s series Apartment Living 101 is aimed at helping New Yorkers navigate the challenges of creating a happy home in the big city. 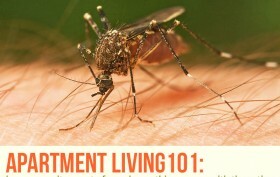 This week we’ve rounded up tips on how to get rid of and deal with mosquitoes this summer. New York’s hot and humid summers bring all sorts of agony, but the bites of unrelenting mosquitoes may be the worst of all. While in past years these buzzers haven’t been much more than a itchy nuisance, this year, the Zika virus has everyone on high alert. In February, the World Health Organization declared the virus a threat to public health across the globe. To date, no vaccine exists. As of June 8th, there have been 133 cases of Zika reported in NYC. 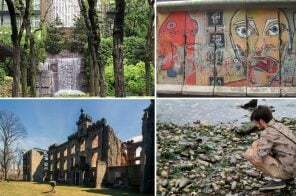 However, the species of mosquito spreading Zika (the Aedes aegypti) has not yet been spotted in the city and all cases caught the virus while abroad. Nonetheless, with a potential threat looming, the city has launched a campaign to get New Yorkers to do their part, which includes tips on how to prevent the mosquito population from propagating. Ahead we’ll cover some of the same ground, on top of other tips to keep mosquitoes from entering your home and attacking your body—because any way you look at it, mosquito bites are no fun! 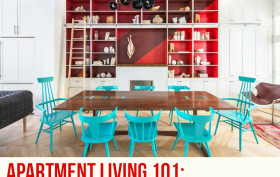 Our ongoing series Apartment Living 101 is aimed at helping New Yorkers navigate the challenges of creating a happy home in the big city. Last week, 6sqft rounded up a list of 15 air-purifying plants to add indoors. This week we’ve pulled together 20 kitchen cleaning tips for the lazy (or busy) man and woman. Most of us would probably agree that keeping a home clean with any regularity can be a formidable challenge; because really, who wants to pour hours and hours into a tedious and thankless job that only promises to return with another layer of dirt? 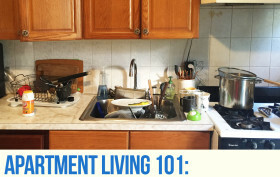 But while housekeeping is in general a groan-worthy task, the kitchen often poses its own hell, especially when shared with roommates who seem almost clueless as to how a sponge and soap work. Though we don’t have a solution for making those dirty dishes in your sink disappear, we do have 20 cleaning hacks for keeping a (reasonably) clean kitchen that even the laziest person can squeeze in between Netflix and chill sessions. It has been called the most coercive public policy after the draft. It has also been said that without it, construction in major cities would come to a shuddering stop. What is this powerful, controversial tool? Can both statements be true? 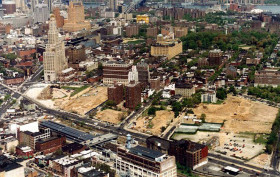 Eminent domain is the policy by which a governmental agency can acquire or “take” property from an owner unwilling to sell in order to build something else there, and it has been around for centuries. Some say it derives from the medieval concept of the divine right of kings, empowered by God the Almighty to be sovereign over all. And by inference, that includes the land, which individual owners occupy and trade at the king’s sufferance. When he wants it back, it is his right to take it. So under eminent domain, all land theoretically belongs to the state, which can assume control at any time. 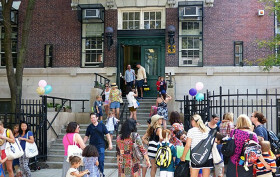 It’s a longstanding New York City tradition—families relocating to live in a desirable school district or zone. Currently, all five of the city’s boroughs are divided into districts and zones and both come with their own currency. Districts, which usually cover large swaths of a borough, impact students’ middle school and in some cases, high school choices. Zones, by contrast, can run just a few blocks and are usually the sole criteria for assigning students to schools at the elementary level. Like many things in New York City, however, a block can make a world of difference. Rents across the city may be climbing, but that’s not keeping college students from wanting to flex their newfound autonomy even further by leaving their dorm for digs off campus. Unfortunately for many of these young scholars—and many first-time renters like them—searches typically start off with head-in-the-clouds expectations (“I had this fantasy about scoring a place with a fireplace and rooftop deck,” says one student with a $1000 budget), which are quickly brought back down to reality when they realize just how unforgiving the NYC rental market is. 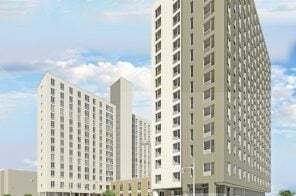 Ahead, CityRealty goes over what students and new renters need to know when searching for an apartment, as well as how to maximize time and money in a fast-moving and ultra-competitive market. 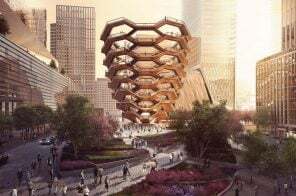 6sqft’s series Apartment Living 101 is aimed at helping New Yorkers navigate the challenges of creating a happy home in the big city. This week we offer up helpful tips on how to live with a furry family member (or members) from choosing the right furniture to actually getting your pet OK’d to move into a new place with you. Owning a dog or cat in the city is a decision that should not be taken lightly. Not only can small apartments and loud noises be stressful for humans, but animal anxiety can also be exacerbated by these external elements (and de-stressing for them isn’t as easy for them as getting a massage or happy hour). On top of this, pet messes and their manic outbursts can seem exponentially larger when compacted into an home that’s barely 500 square feet. 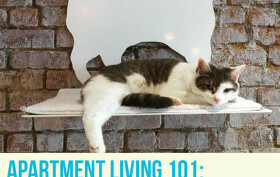 Ahead, with the help of Erin McShane, owner of Manhattan’s new cat cafe and teahouse Little Lions, we’ve rounded up a few tips and things to consider when it comes to making apartment living with dogs and cats comfortable for all—especially humans. 6sqft’s series Apartment Living 101 is aimed at helping New Yorkers navigate the challenges of creating a happy home in the big city. This week, Gabrielle Montoute of Fueled, a digital product design and development incubator, shares six ways to create a rustic interior in your apartment without spending a lot of money. 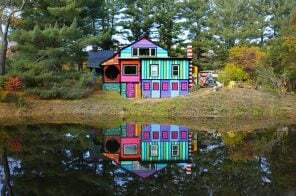 If you haven’t noticed, rustic is all the rage. From restaurants to weddings to clothes, it’s all about taking something old and giving it new life—or taking something new and making it look vintage. While recreating this style at home may seem like an expensive undertaking, it’s only deceptively so. We’ve dissected the trend and determined six simple and inexpensive ideas that will help you achieve this look at home. 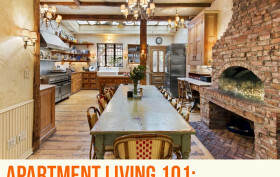 6sqft’s series Apartment Living 101 is aimed at helping New Yorkers navigate the challenges of creating a happy home in the big city. This week, the pros from Paintzen (“the Uber for painting”) share some easy and affordable ways to transform an apartment using just paint. With the countless other tasks on New Yorkers’ agendas, finding time to do some interior upgrading can seem daunting. But thankfully, there are some quick and easy fixes that you can do – in the smallest of apartments and over the busiest of weekends – that require nothing more than paint. From simple accent walls and chalkboard paint to more funky techniques like ombre walls and patterns, here are 12 tips for transforming your space with paint. 6sqft’s series Apartment Living 101 is aimed at helping New Yorkers navigate the challenges of creating a happy home in the big city. 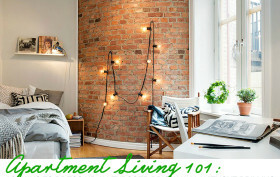 This week we offer up ideas for decorating exposed brick walls without drilling. Exposed brick is one of the most common architectural elements in NYC apartments — even otherwise bland spaces often feature the material. Though it offers tons of character, it can make decorating quite challenging since drilling into brick isn’t the easiest task. Renters especially have a tough time, as putting holes in a brick wall can be a big no-no for landlords. But 6sqft has come up with 10 ways to dress up such walls, no drill necessary. Thanks to decor like string lights and ladders, you’ll never have to stare at a blank brick wall again.